Sips are small fluid containers that you can drink from! 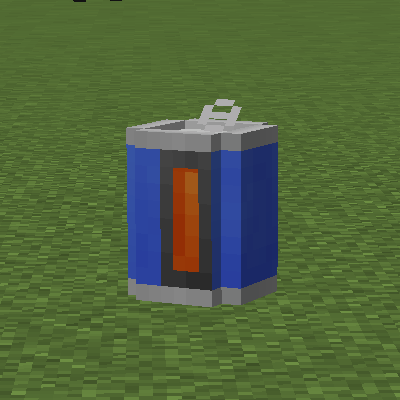 Fill them with any fluid by right-clicking on a fluid block, a tank, or a cow... then hold right-click anywhere else to take a sip. Take a sip of Milk for instant refreshment, or fill your mug with Mushroom Stew for a meal on the go. Discover the unique flavors of Liquid Starlight and Resonant Ender, or gulp down some Lava for a quick trip back to your bed! Would you care for a sip? Sips is created with modpack makers in mind. Simple configuration options allow nutrition, damage, and/or potion effects to be added any fluid. A small selection of fluids added by popular mods have already been configured with various effects. 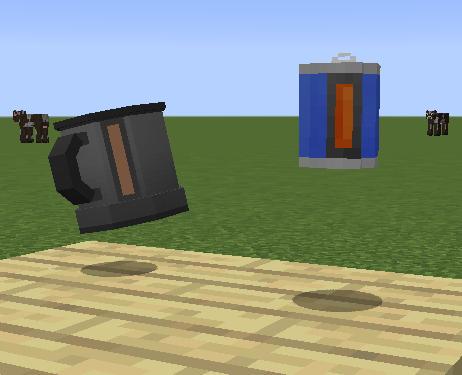 Any unknown fluids will have some default effects depending on the fluid's temperature, and these effects can be adjusted or turned off. PS. I don't have nutrition mod installed. If that's too much work, that's OK, but I would greatly appreciate if you attempted (really all i was thinking was that all drinks in this mod would restore thirst). Is it possible tan support? Requesting support for the Nutrition mod. I've played with Nutrition a lot! The next release will let you assign food groups (err, nutrients) to fluids. Nutrition support added in version 0.4.